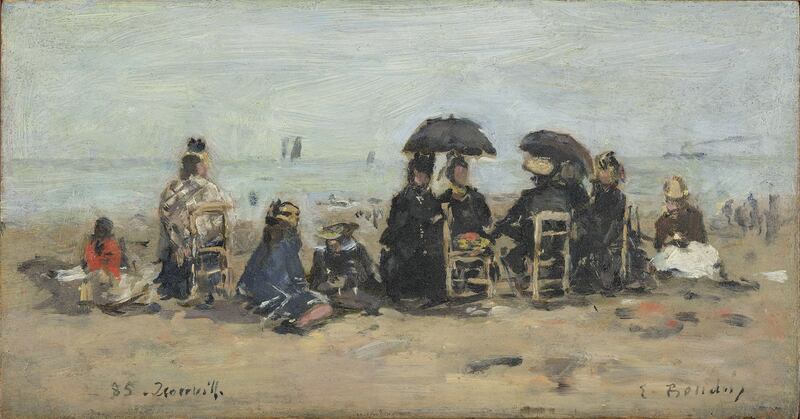 Eugène Boudin | Stoppenbach & Delestre Ltd.
Eugène Boudin was one of the first plein-air painters known for his views of coastal towns, their harbours and beaches, especially in Brittany, Normandy and the Pas-de-Calais. 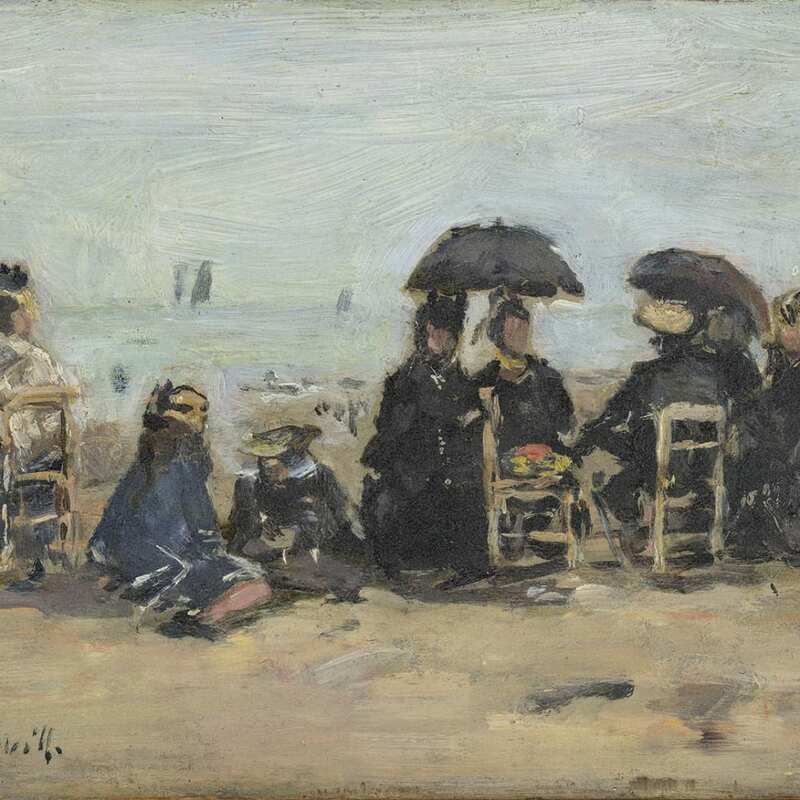 His beach scenes inspired by the naturalist approach, infused with light and characterised by an agile and fluid and sketched brushwork led to the development of the Impressionist movement. 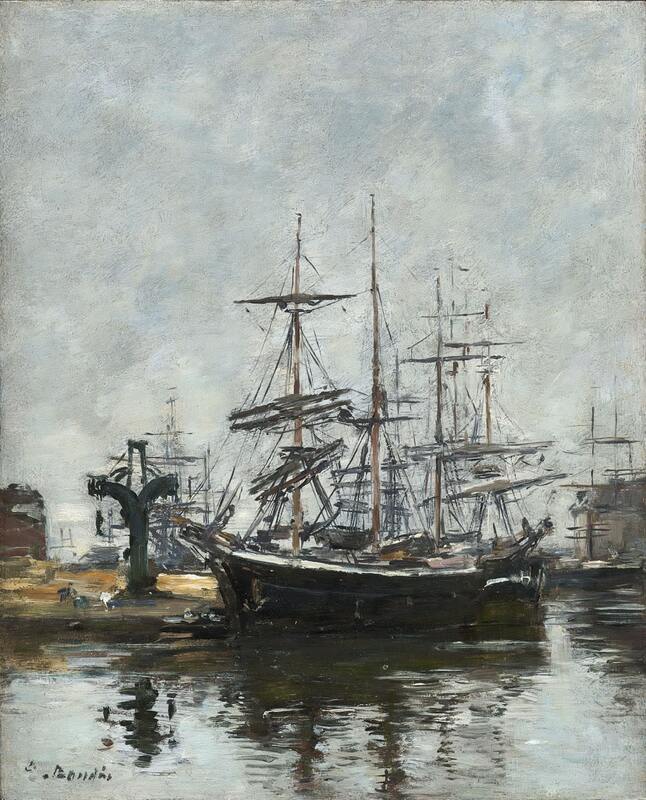 Born in Honfleur, Boudin was the son of a ship's captain, and growing up he would help his father on the sea, which stimulated his interest for marine subjects. In 1845, while he was managing a stationery and framing shop, the artist met with Jean-François Millet, who was living in Le Havre. In 1851, following the advise of Millet and Constant Troyon's Boudin enrolled in a painting course in Paris, where he regularly visited the Louvre, and developed a profound interest for the works of Golden Age of Dutch painting period, while also being drawn to the Barbizon painters. In 1859, Boudin made his debut at the Salon, where Charles Baudelaire and Gustave Courbet much admired his work, and Jean-Baptiste Corot heralded him as the 'king of the skies'. His growing reputation helped him to settle in Paris, while travelling to the coast of Normandy during the summer, where he found inspiration in the emerging social class visiting the coastal towns. It was Boudin who was to become Claude Monet's first teacher, persuading him to paint in the plein-air, 'nature is truly seen in all its variety and freshness' (Boudin), and in 1874, he was invited to participate in the first Impressionist exhibition. Along the path of his artistic research, Boudin undertook an explorative journey through nature, seamlessly and boldly grasping its fleeting and transitional character. To translate lights effects, the artist would develop a unique technique, consisting of short and light brushstrokes rendering the impression of movement while furthering a new modern treatment of landscapes. The artist's works are included in numerous museums collection, such as the National Gallery, London; Musée d'Orsay, Paris; Metropolitan Museum of Art, New York; National Gallery of Art, Washington.